CMMG Inc. has announced something very new and exciting for the Pistol Caliber Carbine (PCC) market, an AR-15 platform rifle in .45 ACP. In a world where most PCC's are chambered in 9mm Luger, this one is a game changer. It is a from-the-ground-up all-new design with a unique rotating bolt, radial delayed blowback action. The bolt carrier group looks much like a standard BCG, except that the bolt head lugs have a slight slope where they lockup with the barrel extension causing the bolt to rotate on recoil initially caused by the firing of the round. This means that the bolt and chamber stay locked up until pressures have been reduced to safe levels before the casing is removed from the chamber. The bolt and bolt carrier group are also weight-reduced for less reciprocating mass which should result in a smooth, low-recoil, flat-shooting rifle. A standard drop-in trigger kit from many popular manufacturers can be used for full customization in the end-users trigger control experience. The barrel is threaded to accept .45 caliber suppressors, which on the PDW model of the rifle, a short-barreled (SBR) NFA-controlled rifle would make for a quiet, nice-sized compact shooting option. Also with the recent clarification letter from the ATF on SB Tactical-style arm braces like the Sig Brace, one the pistol models could be a pretty slick option for those of your that don't want to go through the whole tax stamp process. It also features a new patent pending dual-pinned, fully machined bolt catch linkage, making operation of the rifle both easy and intuitive. This is really key as many PCC's feature controls that are distinctly different from your standard AR. Price varies by model of course, but for the MkG-45 PDW model MSRP is $1,349.95. 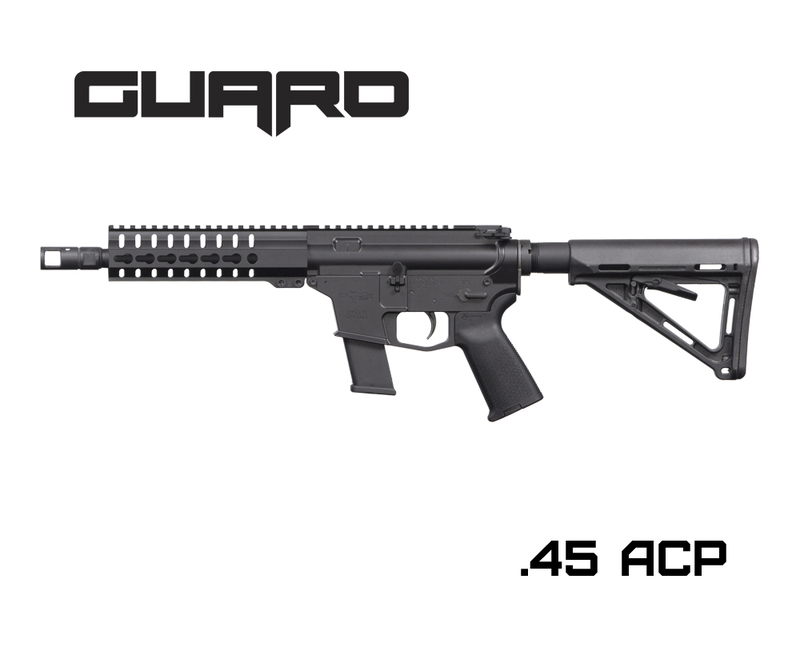 CMMG also states that the rifle should be shipping out in mid-June, so a relatively short wait time means this compact defensive rifle can be in your hands soon! What kind of mags does this take? Glock , Colt? ?